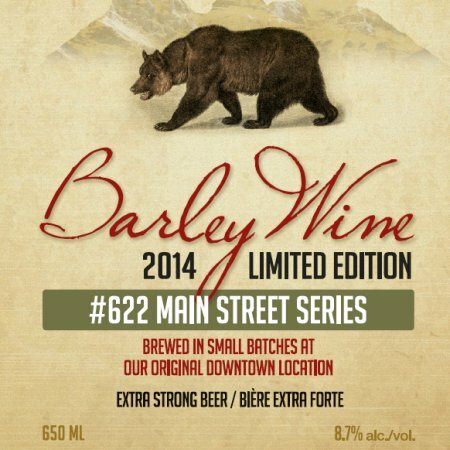 CANMORE, AB – Grizzly Paw Brewing has announced the upcoming release of a seasonal beer that has been aging to perfection for over a year. A big luscious ale with flavours of apricot, plum and black currant mingling with a rich maltiness, balanced by a spicy hop bitterness and alcohol warmth which will continue to mellow with age. Grizzly Paw Barley Wine will be released on Wednesday December 30th with a launch party at the brewery (310 Old Canmore Road, Canmore) starting at 4:30 PM. It will be available in a limited run of 650 ml bottles while supplies last.